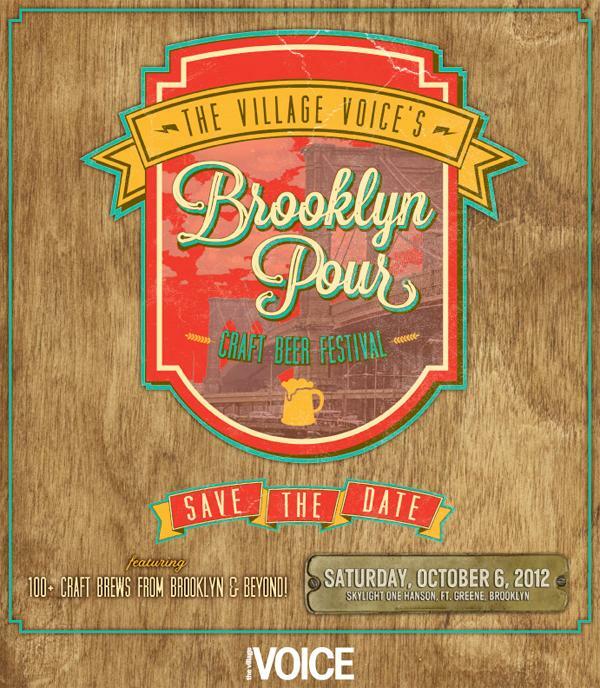 The Village Voice recently announced the return of the Brooklyn Pour Craft Beer Festival. This beer tasting event will take place on Saturday, Oct. 6th and will feature over 100 craft brews from New York and beyond. The event will take place in Fort Greene, Brooklyn at Skylight One Hanson (formerly the old Williamsburg Savings Bank). Attendees will get to sample the best seasonal, micro and reserved brews from breweries located in the country with a pinpointed focus on the tri-state area. There will be demos, meet and greets, beer talks, entertainment, and food to purchase. Attendees receive a souvenir glass too. There are two sessions available. Tickets go on sale Aug. 22nd at http://www.villagevoice.com/brooklynpour. VIP Tickets are $65 and gets you a gift bag, complimentary food, and some VIP perks. General Admission tickets are $45. For more info, visit the Brooklyn Pour website, follow them on Twitter, or check them out on Facebook. Proceeds from the event are going to Brooklyn Pour’s charitable partner Brooklyn Animal Resource Coalition (BARC), a nonprofit organization looking to provide a safe haven for abandoned animals and to find permanent loving homes for them.